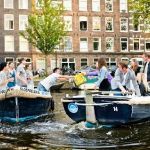 The Sloop Game Amsterdam is an exciting competition that takes place on the beautiful canals of Amsterdam. 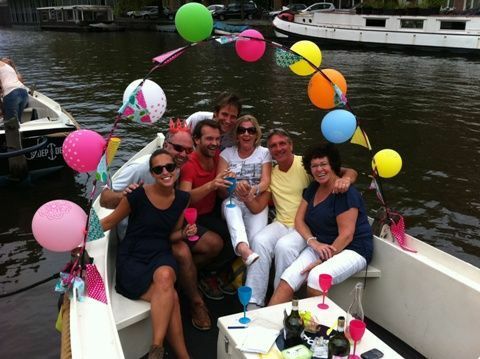 Together with your colleagues and/or friends as your crew, you will sail in a private sloop. 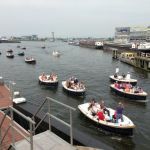 These sloops will introduce you to a whole new way of getting to know Amsterdam, namely from the water. 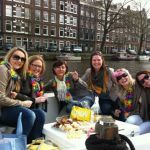 During this unique and exciting competition you will be sailing past some of the most beautiful parts of Amsterdam: The Herengracht, Keizersgracht, Prinsengracht and the Red Light District (the old center). 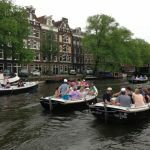 You will even get to sail past the Anne Frank House and the Flower Market! 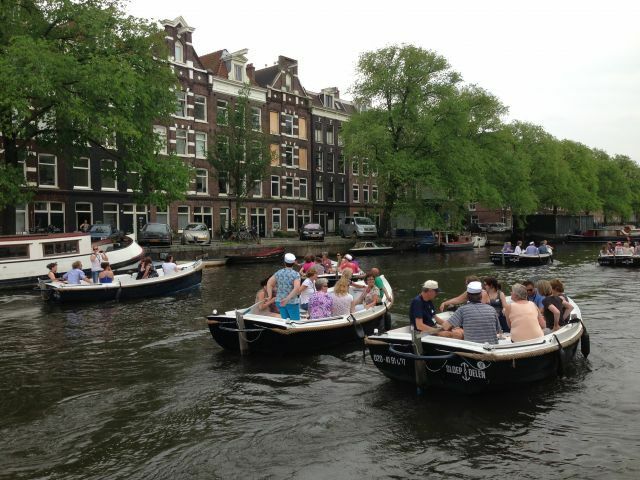 The game takes place on the canals of Amsterdam. 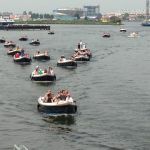 9 persons per boat enters the water to earn as many points as possible. 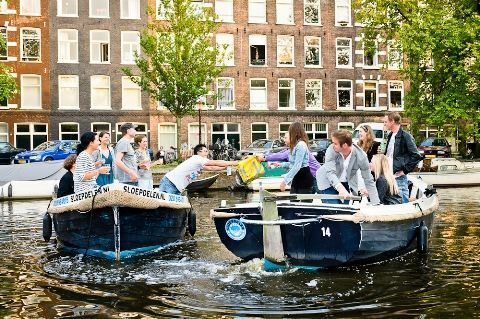 Guided by GPS and directions of Game Control, the teams are sailing on Amsterdam's waterways. 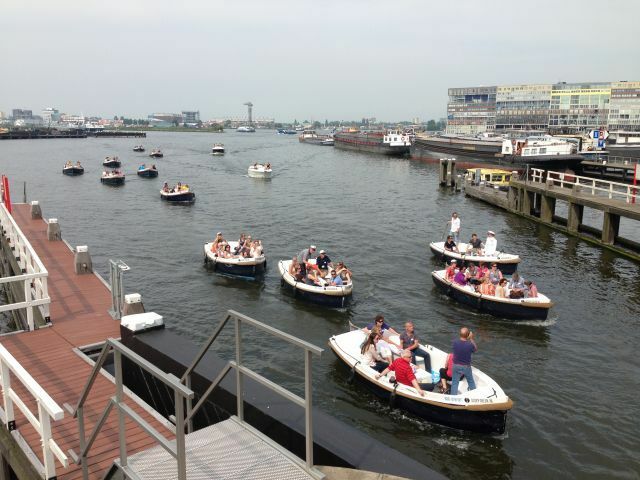 You don't need a licensies to control the boat. 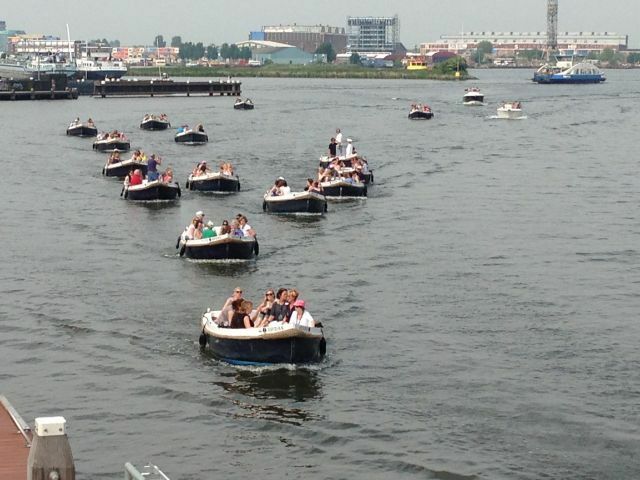 You go on the canals and the game begins! 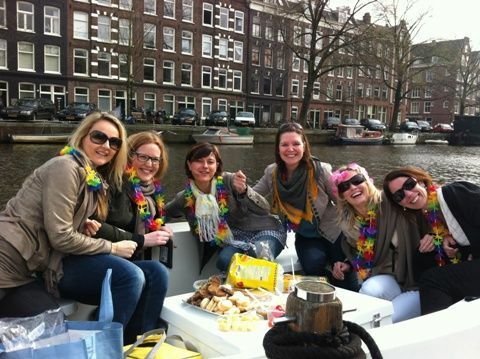 The GPS Sloops Game is the most fun outing on the canals of Amsterdam. Unlike regular boat trips, participants are bombarded during the game with puzzles, missions and picture questions. Only when the correct answer is given the participants receive the coordinates of the next location.De communication with Game Control is per SMS and mobile internet. 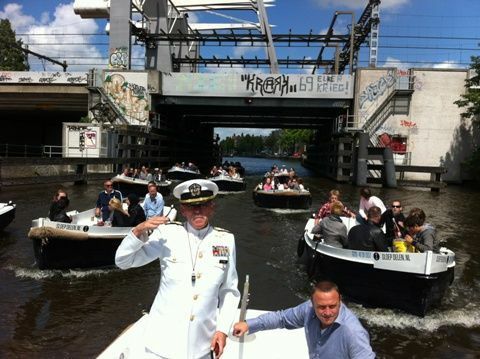 Participants use the Game Phone and GPS to find their way on the canals of Amsterdam. Sensation till the finish! 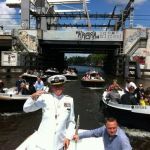 • 15:15 Instructions and explanation of Admiral Pier C.
Do you want the arrangement ''GPS Sloops Game Amsterdam'' in another city or area? 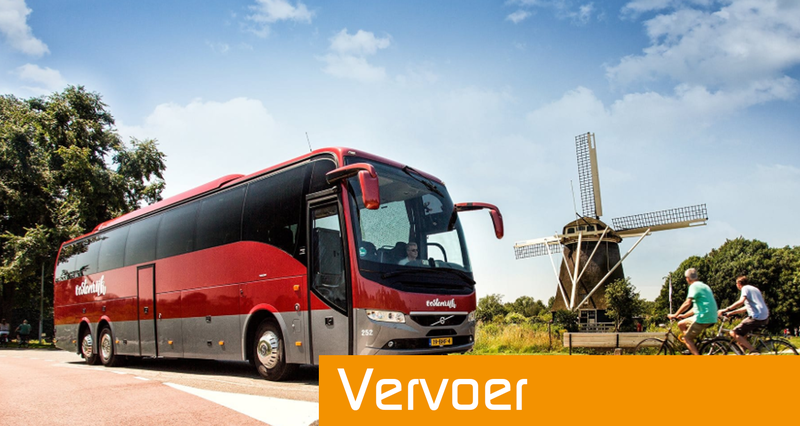 Such as Haarlem, Alkmaar, Zaandam, Utrecht, Amersfoort, Lelystad, Almere, The Hague, Delft, Leiden, Rotterdam, Dordrecht, Breda, Tilburg, Eindhoven, Den Bosch, Middelburg, Nijmegen, Arnhem, Apeldoorn, Assen, Emmen, Enschede Zwolle, Leeuwarden, Groningen and Maastricht etc. Please directly contact one of our enthusiastic employees or ask for more information!